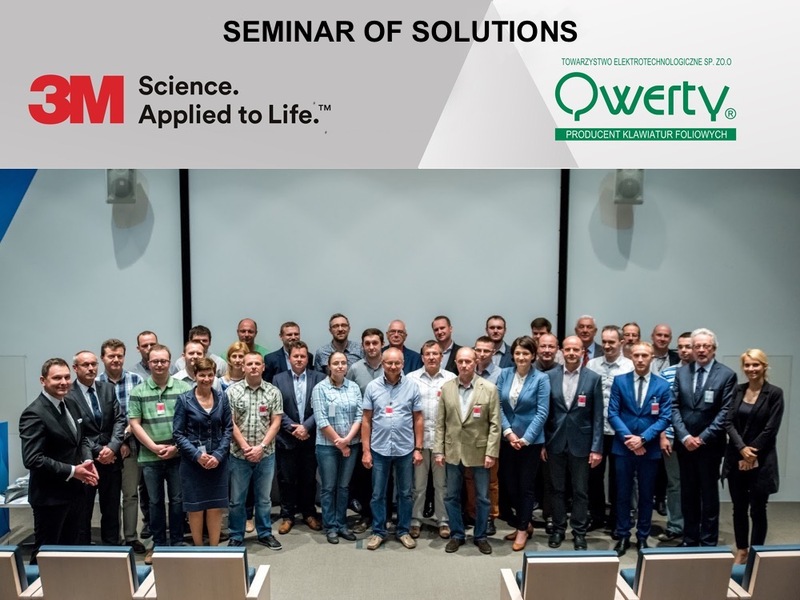 During this year we had the honour to co-organized with 3M company „Seminar of Solutions” seminar. Main topic of the meeting was innovation – one of the main driving forces for both companies. During the conference technological innovations in the field of membrane keyboards and adhesives materials were presented. Next to interesting lectures, we foresaw in our program attractive practical part. 3M company has offered tour of tapes and industrial adhesives factory and a visit in the 3M Innovation Center. For our part QWERTY gave the participants an unique opportunity to self-assembly “demonstration keyboard”. We hope that time we spent together, will result in the near future with better solutions in the branches of industry that we represent.